David Cottrell - best-selling author, award-winning leadership expert, professional speaker. David has walked in leaders’ shoes. With over 30 years of leadership experience in corporate America, David knows firsthand the obstacles, frustrations and issues leaders face. 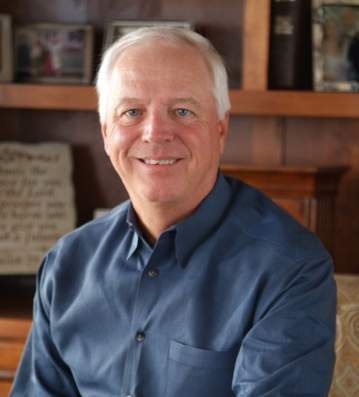 In sales and executive management positions with FedEx and Xerox, he created a legacy of leadership excellence, earning awards and achieving levels that continue to stand out as remarkable. You are an internationally known author and speaker on the topic of leadership. Do you think that leadership is something that you can develop? What should an average person do to become a great leader? Many people debate whether great leaders are born great or somewhere along the way they develop to become great. I think the debate is silly. No one is born to be a great leader, becoming a great leader is a choice. Some talents are inherited that may make leadership more natural for some than others – like charisma and outgoing personality– but the skills to develop trust and sustain long-term followers is earned by mastering specific skills. My new book, The First Two Rules of Leadership: Don’t be Stupid. Don’t Be a Jerk. details how leaders are derailed because they make decisions that are uniformed and treat their team in a way that is considered unfair or without compassion. Leadership skills can be developed. It is hard work but leadership cannot be inherited even though you may inherit a title, or claimed like you would claim luggage at the airport. It must be earned by meeting the specific needs of every person on your team. The truth is that most people who quit and leave or those who quit and stay, made a decision to quit their leader. Their resignation or disengagement has little to do with pay, benefits, distance from home, or long hours. They quit because something between them and their leader has gone awry. The desire and ability to do a good job became overshadowed by the obstacles and frustrations faced every day. Ironically, most of those frustrations were created by the very person who, on the first day at their new job, enthusiastically greeted them, shook their hand, and welcomed them as an important link on the team. Leadership is demanding. If you want to lead a great team, you have to be great. If you want great, long-term leadership success you have to win with great class. The good news is that the rewards for being a great, rather than average, leader are heavily skewed. People want to work for the best, buy from the best, and deal with the best in almost every situation in our society. The best-selling books sell millions more copies than average books. The best movies generate millions more dollars than 50 average movies. Likewise, the rewards for being a great leader are enormous. People flock to winners. Even great leaders have to deal with fierce competition nowadays. Barriers to entry are high and your competitor is just one click away. What should our readers do to make their business stand out? If your business just does what it says it will do, it stands out. Most organizations do not deliver on the value they promise. If you do a little extra, you will stand out even more. You never know when your “golden” customer is going to arrive. The golden customer is the one who may have influence on many people in your business arena. You never know when they will come in the door and most of the time they are disguised as just an “average” person. However, when they return to their keyboard and talk about their experience, they become like a pot of gold … or like a lump of coal. No one knows they look “average.” Their keyboard strokes make them look like the most trusted person in America. The best advice I can give is to treat every customer like they are a golden customer. If you perform every transaction in the way you promised, and add just a little extra, you will stand out for all to see that your business is the obvious choice for their business. In your book Monday Morning Customer Service you share some insights on how to take care of customers so they keep coming back. What about “bad” customers? Is there a way to turn grumpy clients into your biggest fans? Some clients are happy when grumpy. That is their nature. It is difficult to turn Mr. or Ms. Grumpy into Mr. or Ms. Congeniality. But, you can do something. A friend share some great wisdom with me a long time ago, “Something can be done, and there is something I can do.” Those words have made a profound impact on my life. There is always something I can do to make a situation better. What you control is your reaction to the Grumpys. Make a conscious effort to have them feel good when they leave. If you have been fair, consistent, delivered on your promise, and they are grumpy, the issue is not you. Just make sure you see it from their perspective before you write them off as grumpy. In our short interview we covered leadership, business success and customer loyalty. In conclusion, сan you give our readers some advice on how to unleash their full potential? Potential can only be unleashed when you make a decision to be your very best. We all have different skills and talents but it is up to you to increase your skills and talents to become greater than you currently are. The only way to improve is to learn more. You can learn more by listening more, reading more, and changing more. You will discover that the more you learn, the more you will earn. That is a fact. You will become more valuable to the people you work with and you can become a person who is in demand because of your expertise. The more you learn, the more you will earn.